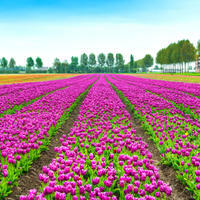 Enjoy a full day private sightseeing tour to the northern part of the Netherlands and an Amsterdam city tour. See and learn with your private guide all about the typical Dutch Polderland with the beautiful landscape, the windmills, canals and lakes. During the spring time several tulip fields can be spotted on route. As a private tour, your guide can personalize the tour according to your own preferences. Get an overview of the Netherlands' most impressive collection of contemporary and modern art during a private 2-hour tour of Amsterdam's'Stedelijk Museum, led by a professional art historian. Learn about the most avant-garde art from 1880 to today, with plenty of attention from your personal guide. You'll have the time to ask questions, and to see what's most important to you. See works by Van Gogh, Mondrian, Malevich, and a variety of modern artists. 'The cost of this tour is based on the group price (group limited to 6 people). In this 3-hour private tour, get the best of Amsterdam's gourmet scene with this exclusive gastronomical experience of a lifetime. Taste 7 exquisite bites and tastings prepared in the best kitchens in town just for you and paired with 4 fantastic wines. It's time to treat yourself the gourmet way! Enjoy the Dutch countryside during this private tour of Old Holland. After being picked up at your hotel by a private minivan the driver will bring you to the former Island of Marken. At Marken a local private guide dressed up in traditional costume will show you all nice parts of Volendam and Marken. You will taste a traditional 'stroopwafel' (famous Dutch caramel cookie waffle) at 'Woltje's Backery' we will visit Cheese Factory Volendam where you will be given an explanation and demonstration about the cheese making process (including tasting), we will visit a Wooden Shoe Factory and from Volendam to Marken you will enjoy a 30 minute boat trip.A warm lunch in a harbour restaurant with great sea views is also included in this tour. During this'3-hour tour, led by a professional art historian guide, step back in time to the salty years of Dutch sailors and merchants. Visit the inner courtyard of the United East Indian Company's headquarters, and hear hair-raising stories about the Dutch soldiers and sailors that traveled'the globe for years at a time. Discover antique maps, sextants and globes at' the Maritime museum, where you'll be able to board'a full-size Indiaman ship, as you watch actors re-create the 17th century. 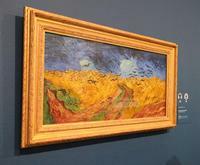 Get the most out of your visit to the Van Gogh Museum by touring the world's largest collection of his works with an art historian guide. Dive deep into the history of the brilliant artist, one of the most famous Dutchmen of all time, during this 90-minute tour with just your small group (maximum six people) and your private guide, a professional art historian and educator. Explore the world's largest collection of Van Gogh's works chronologically, learning about the events that inspired his masterpieces. 'Price is per group, with a maximum of six people. By booking this private tour we will show you all that the historic center of Amsterdam while you are in the comfort of a private chauffeur driven car/minibus. This tour can be customized to suit your personal needs. Join us and you will soon know the heart of Amsterdam like the locals do!At the end of the tour, the driver will drop you off at the departure area of Schiphol Airport in time for your next flight. Breeze past long lines of tourists and explore Amsterdam's famous Rijksmuseum without the usual crowds during this private 3-hour tour. Guided by a senior art historian, your private group will view the most famous works by Vermeer, Rembrandt, and other 17th-century artists. Step into spring in style with a 4-hour visit to the Keukenhof Gardens from Amsterdam. Travel from the Dutch capital to the famous Keukenhof Gardens in a luxury car and enjoy exploring at your own pace. Wander along tulip-lined paths and through forested glades to admire flowerbeds exploding in vibrant color. Marvel at more than seven million hyacinths, daffodils and anemones bursting into bloom. Visit in spring 2015 and admire vibrant flower displays inspired by Dutch painter, Vincent van Gogh. Enjoy a pleasant 3-hour walk in the old center of''Amsterdam with an art historian guide. On this private tour with just your group and your professional guide, get'plenty of information about the city's social and commercial history, its main institutions,'the four big canals on the New Side, and the ancient Old Side in the eastern section of the city. Visit a spice shop, enjoy a coffee break, and hear stories of Amsterdam's sometimes-scandalous'past. Price is per group, with a maximum of six people.